It is used in bodybuilding and powerlifting (powerlifting). The formula of Cypionat 250mg is a long testosterone ester, which, due to its chemical features, is permanently retained in the body, stimulating cellular receptors. 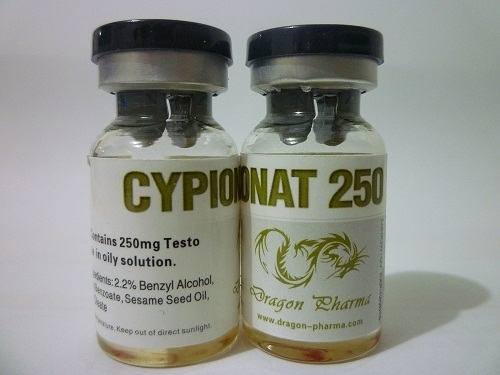 Dragon Pharma Cypionat 250 mg promotes the preservation of nitrogen in the cells and the intensive synthesis of the structural protein from which muscle tissues are formed. A quick recruitment of a significant amount of muscle occurs in part due to the conversion of testosterone to estrogen and fluid retention in the body. 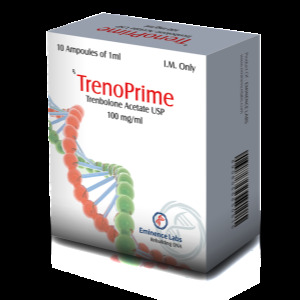 To prevent side effects, it is recommended to take aromatase inhibitors and auxiliary anti-estrogen drugs (Tamoxifen) parallel to the course. 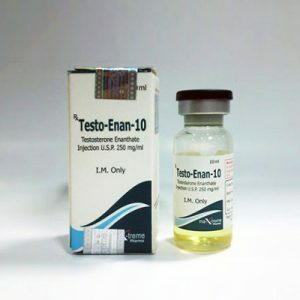 The duration of the effect Testosterone cypionate is quite large, but to maintain a constantly high concentration of hormonal levels in the blood, it should be administered weekly. A single optimal dose of the drug is 250-500 mg. Practice shows that increasing the dose of a noticeable increase in muscular weight does not, but increases the risk of side effects. During the course it is recommended to use Proviron, which prevents the conversion of Testosterone Cypionate and leveling side effects. Cypionat 250 mg is also effective in solo application, but sometimes it is included in combined courses with Nandrolone. Excess dosages provoke the risk of gynecomastia, negatively respond to liver function and may cause temporary hypertension (high blood pressure).